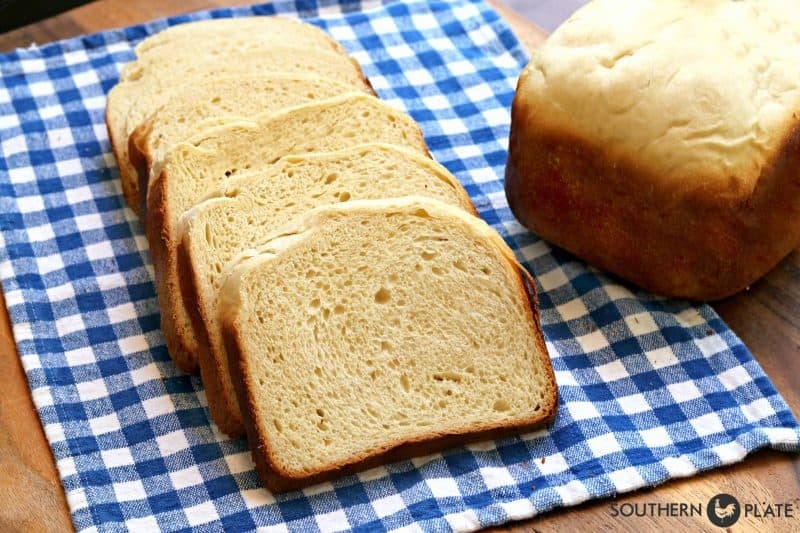 In this post I have lots of tips and tricks for turning out this perfect sandwich bread. If you’d like to skip to the recipe and read the tips later, click here. Over the holidays, I bought myself a bread machine. I had one years ago, a little cheapie model, and enjoyed using it. As technology has changed so much on these wonderful little appliances I was able to get a drastically better model, with a convection oven feature, for the same price I paid for my cheapie one all those years ago (around $100). It’s not an eyesore. This has been sitting on my kitchen counter for about a month now. It isn’t in the way and looks nice in my kitchen. It is REALLY easy to clean. Most of the time I just wipe the pan out and I’m good, but I try to use a little dish liquid and actually wash it from time to time. I’ve never had to scrub it though, it’s as simple as a quick wipe either way. The bread never sticks. I don’t even have to spray the pan with cooking spray. No paddle indenting in the bread. There is a beep that sounds right before the last rising to give me time to remove the paddle inside if I want. I like my bread without the big paddle opening in the bottom. It has a dough cycle in case I want to make rolls. I just put in all of my ingredients and select the dough cycle. When the rolls are ready to be shaped the machine alerts me, I take them out and shape them in my pan, then let them rise in the pan before baking. P.S. This bread recipe makes amazing rolls. It’s convection. Bread can be done, start to finish, in a little under three hours. It is really easy to figure out. Once I read the manual (skimmed it, really) and made a loaf or two of bread, I am confident I know all the ins and outs of getting this machine to do exactly what I want it to do. I didn’t stress too much over which bread machine to use because this seemed like my best option for the amount of money I wanted to pay. I’m really happy with my decision and would definitely buy this one again. I immediately tried a classic bread recipe and it was wonderful, but it wasn’t the soft loaf bread we so often think of when we want to make sandwiches. I happened to have a package of Hawaiian rolls on the table because that is Katy’s favorite bread and thought to myself “I wonder if it is possible to make a bread like that in a bread machine?”. Thus began my quest! I came across a recipe online and used it as my starting point, but altered some of the ingredients and measurements in order to yield better results. The starting point recipe can be found here but I want to make it clear that I have not tested that recipe, but used it as a starting point for developing this one. Ever since developing this recipe, my family has gone through a loaf a day of this bread. And we’re going on a month now! As of today, I’ve made bread using this recipe at least 30 times. Brady asked me to make an extra loaf today so he could take it to some friends and Katy and I have even used the dough to make rolls for Christmas dinner with great success. This bread is soft, fluffy, slices like a dream, and makes excellent sandwich bread or dinner bread, as is or toasted. This has ended up being our favorite all purpose bread and I have to admit my favorite part is that my entire family, including both kids, get excited when they smell it baking. This makes a 2 pound loaf. Make sure you don’t add any extra yeast, measure it on the light side if anything, or it will rise too much. I use the light crust setting on my machine and tell the machine it is making a 1 pound loaf to prevent over browning. This is something specific to my machine. Your ingredients are best if they are room temp, rather than cold. I store my pineapple juice in the fridge so make up for this by measuring it out, microwaving it for thirty seconds (just to take the chill off) and then testing the temp to make sure it is just warm and not hot. I can’t speak to warming ingredients without offering a little warning: you don’t ever want anything to be too hot when adding it to yeast as it will kill the yeast. So heating my pineapple juice is truly just enough to take the chill off. I do use an egg straight from the fridge. You could easily skip heating the pineapple juice if you like, it’s just something that I do. Yeast is important. I have a personal preference just through experience. I have had a 50/50 success rate with Fleischmann’s (the yellow packet) but I have yet, in all of my years of baking, to have any problem whatsoever with Red Star. So that is the brand I go for and I use the Red Star Quick Rise yeast in this recipe – and suggest you do the same in order to have the same results. I prefer the jar rather than the packets because it is easier to measure out and store in my fridge. Plus, when you use as much as I do it just makes more sense and is more cost effective. Having said that, there are all sorts of variables that can affect yeast and it may be that Fleischmann’s is the be all end all at your house and works like a charm every time – if so go for it. Get what is familiar to you and whatever you have the most confidence in. For me, that is Red Star. When you have a bread machine, making this bread is simply a matter of measuring the ingredients. All you do is measure out your ingredients and place them in the bread pan in the order that they are listed in the recipe. The machine mixes everything up until it forms a dough ball, like this. Now that dough ball is going to rise, then your machine will knead it again and let it rise again. After the last kneading, my machine beeps to let me know that I can remove the stirring paddle inside if I would like and then it rises a final time and bakes, beeping when there is a loaf of bread ready for me. After the bread is finished, I immediately remove the bread from the pan and allow it to cool completely on my countertop. Once your bread is done there are a few tips to having pretty slices like you see pictured here. First of all, don’t cut the bread while it is warm. This is easier said than done and I will happily confess that there have been more than a few suppers where my kids were excited about having warm bread and we just tore into the loaf as part of our meal – it was delicious. BUT, if you want this for a sandwich bread or to have nice, pretty slices, you have to let it cool at least two hours before cutting. I prefer to let my bread cool and then put it in a bread bag or container to cut the following day, so I tend to have one loaf that is cut and one that is going to be cut the following day most of the time. This is also handy if you son wants to take bread to someone since you can always just whip up another loaf later on in the day. What knife do I use? I tried a few bread knives, even ordered some special just for this, but I have found that if I want perfectly uniform, straight, beautiful slices like the ones pictured, the only way to get those is by using an electric knife. I spent about $20 on one years and years ago and it’s just brilliant. The blades are dishwasher safe but I usually just give it a quick wipe down each day and then wash them fully once a week or so as long as I’m only cutting bread. So at last, for me, an easy and soft homemade bread perfectly suited for sandwiches, dinner bread, or anything else I can come up with is now just a matter of measuring out the ingredients. If you have a bread machine, I hope you’ll try this one soon. If you have been thinking about getting a bread machine, maybe this will push you over the edge. Click here to look at the one I have on Amazon. If you don’t have a bread machine and decide to adapt this recipe please report back and let us know what you did and how it worked out. I am only offering the instructions on how to make it in a bread machine because I have never made this recipe any other way. If you would like to try your hand at homemade yeast bread without a bread machine, check out my Jordan Rolls recipe by clicking here. Place ingredients in bread pan in order listed. Check after a minute or two and see if dough looks too dry. If so, add another tablespoon of milk. 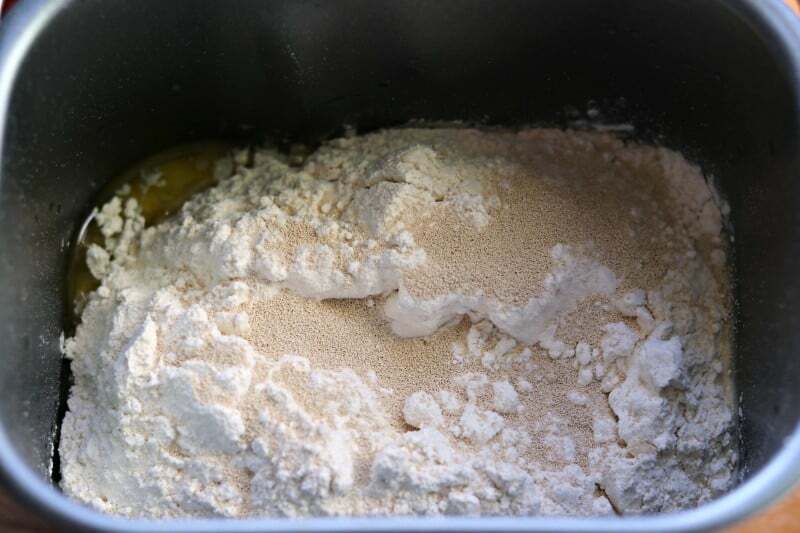 If dough looks too wet, add a tablespoon or two of flour. Allow bread machine to work. As soon as bread is done remove and allow to cool completely before cutting. Store in airtight container or bag. See post for helpful tips on baking and cutting bread. Please note: I am sharing this recipe with you exactly as I make it. If you would like to experiment with substitutions you are absolutely welcome to, but I cannot speak from personal experience making it any way other than the recipe I am sharing with you today. Christy, that looks so good. Can’t wait to try it and the seasoning mix! Thank you so much, Phyl! Be sure and let me know how you like it. Hope you have a great day! LOL, I am so glad it is a hit!! I’m getting ready to make the Hawaiian Bread and looking over the recipe I noticed the milk goes in on top of the flour, making sure this is correct before adding the ingredients to the bread pan! The 1st time I made this. I made a mess and it didn’t work out. So upon reading all the great comments I tried again. This time it turned out wonderful. Great texture, lots of flavor. Thank you. I’m keeping this recipe in my box. I am so glad you gave it another try Michele!! For those of us without a bread machine, what temperature and for how long to cook in a conventional oven? Thanks. Hey Trish! I mentioned this in the post, I developed this for my bread machine and have only made it in a bread machine so I’m not comfortable giving adaptation directions when I haven’t personally tested them. Having said that, if you or anyone reading this successfully adapts the recipe and would like to share what they did and their instructions please do so! If I ever get around to making it in the oven I’ll be sure and let you know. My new bread machine has me spoiled. Hey Margaret! I mentioned this in the post, I wish I could give you directions to make it without a bread machine and it is absolutely, without a doubt, possible. However, I developed this for my bread machine and have only made it in a bread machine so I’m not comfortable giving adaptation directions when I haven’t personally tested them. Having said that, if you or anyone reading this successfully adapts the recipe and would like to share what they did and their instructions please do so! If I ever get around to making it in the oven I’ll be sure and let you know. My new bread machine has me spoiled. I hope you get the chance to try it soon!! Can’t wait to hear what you think!! Wow! This looks so delicious and easy, too! I love Hawaiian rolls, so I’m sure this would be a favorite as well 🙂 I have a bread machine from my late Grandpa that is currently sitting on a shelf. I think I should get it down soon and try this recipe. BTW: I’m loving your latest cookbook! Definitely a new favorite…both for the recipes and simply just to read as well! Thank you so much that book holds my heart!!! I also think you should get that bread maker down and give it a whirl…soon!!! 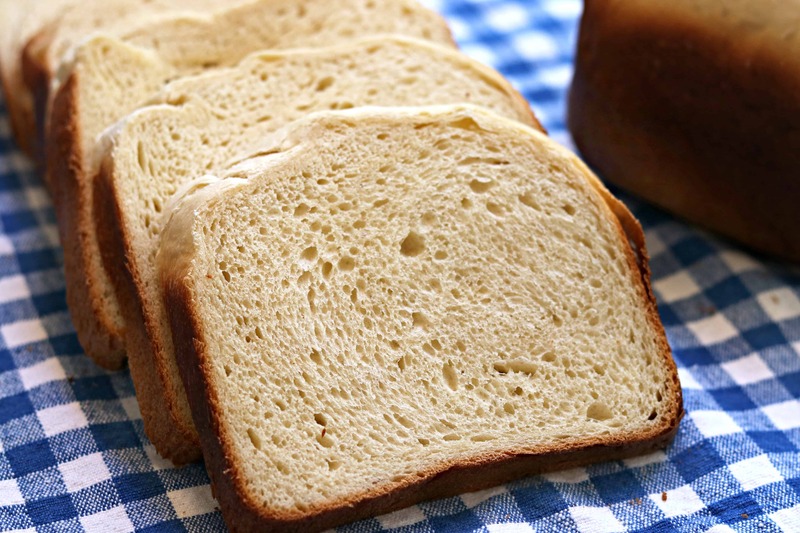 Thanks for this great recipe as we love Hawaiian Bread. I’ve had a Zojirushi Bread Machine; which I’ve had for years and love it! This is a must try recipe! Thanks! 🙂 I hope you get to try it soon!!! I am sitting in the Dr office and had time to read through the whole post and love the tips, etc. I can’t wait to try this! I LOVE my bread machine and make THE best yeast rolls with it. Love the “dough” setting! Mine “beeps” after the first rising but I never thought to take out the thingy. Thank you!!! I will try that the next time I make a loaf. My Sunbeam bread machine has seen a lot of work over the years and has much more coming with this recipe. Thank you for working out the kinks and sharing the recipe! I hope you get the chance to try it soon, can’t wait to hear what you think!!! This recipe looks great. I’m definitely going to try it. I have everything on hand. I have a Zojirushi bread machine which I like a lot. It’s only a one pound machine, but should work out fine after I make some adjustments ☺️. Christy, what would you recommend as a substitution for the pineapple juice? I am allergic to pineapple, but love Hawaiian bread! I have a Zojirushi, and plan to see if it beeps before the final rise so I can take that blade out! Never thought of that before! Thanks for the recipe and the tip! I’ve heard of people using orange juice and think it would work fine. Those beeps are handy! Yum, gotta dust off my bread machine and give this recipe a try. I hope you get the chance to soon Barbara!!! I am hoping that you develop other recipes for this bread machine as I am going to try and get my husband to buy me this for our 46th Anniversary in April. I will need to convince him that it won’t be stuck in a corner and never used like the one he bought years ago for himself. Oh my goodness, once you make him one loaf of bread he will see the wisdom in having it!!!! Husband had me buy it now. I made a loaf of this bread but didn’t get the crust color changed to light so it was a tiny bit over done but it is wonderful. Going to make banana bread and pizza crust next. I am so glad to hear you liked it!!! Hugs and Blessings to you Thelma!! You are going to love the bread machine!! Thanks, Christy: I have been meaning to try the Hawaiian Rolls recipes I have and have just not gotten around to it. I think I’ll try this when I feel better and can get to the store. I have a machine, but I always use the dough cycle and bake it in a regular bread pan in the oven as I don’t like the shape of the bread out of the bread pan, and it also doesn’t beep to remind you to take the kneading paddle out. I have been slicing my bread with an electric knife also, and that is the best tip-ever. Even I can slice neatly with an electric knife! That’s all I use it for, and, like you, I just wipe it down. I get the big bag of yeast at either Costco, or Smart and Final and keep it in the fridge in a mason jar, and refresh my small yeast jar from that when it gets low. I warm my liquids, melt the margerine, and then put them in the bread pan and then add the egg and that warms the egg up nicely. This looks like a really nice recipe. Oh, and I wait about 5 hours before I slice my bread with the electric knife, and that really helps the bread set up and slice nicely-but I don’t have kids and a husband impatiently waiting to attack the warm bread. 8) I also have waited until the next day to slice it. I can’t even imagine being able to wait a few hours, much less a whole day 🙂 The kids would be having a fit!! Christy: I did finally make it, and being as I am still recovering from walking pneumonia, and don’t have an appetite, I didn’t slice it until the next day. 8) You did a really nice job with the recipe, and I am happy to have it-thanks! It makes really nice toast and even better hot ham and cheese sandwiches. Even better, I am happy to see Velvet Pork Chops in the favorite recipes of ’16 list. That’s good stuff! Forever tied with your Southern Style Chicken and Dumplings as far as I am concerned. I am so glad you got the chance to make it Kathy!!! I hope you are feeling better and pray you are at 100% soon!!! Thank you so much for sharing this recipe,I love Hawaiian bread. looking forward to making this as soon as I get home from my trip. I have a Zojirushi bread machine that I love and use it often. I hope you like it as much as we do!!! *sigh*… Now I’ll be on the hunt for a bread machine here…. we miss homemade bread! 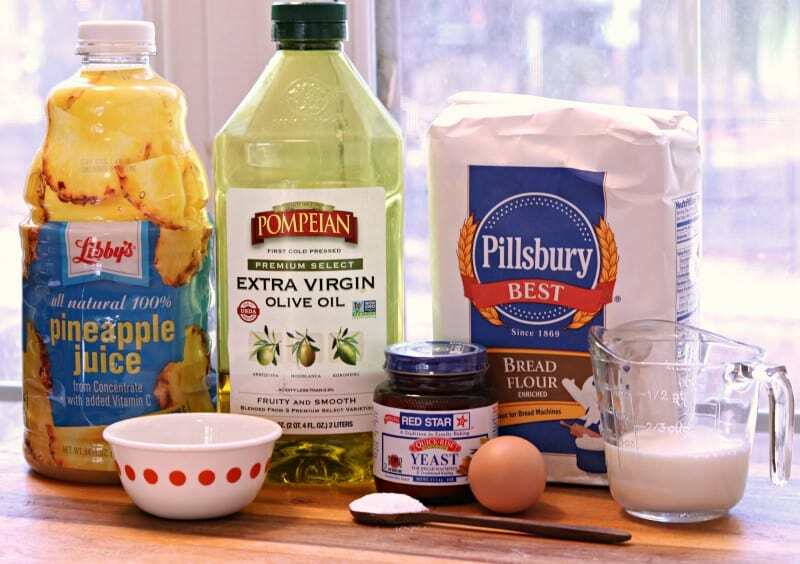 This recipe looks delish – and I’m betting that pineapple juice gives it just the right taste. I’ll share husband’s secret for professional bread crust on whole wheat bread….. remove from machine when done, cool for 15 minutes to allow steam to escape, slap it in a cheap plastic bag and seal it up till it’s cool. Then slice. Best. Crust. Ever. Hope Katy bug is feeling better! Can’t wait to try the Sandwich Style Hawaiian Bread, thanks for the recipe. Have a blessed day. 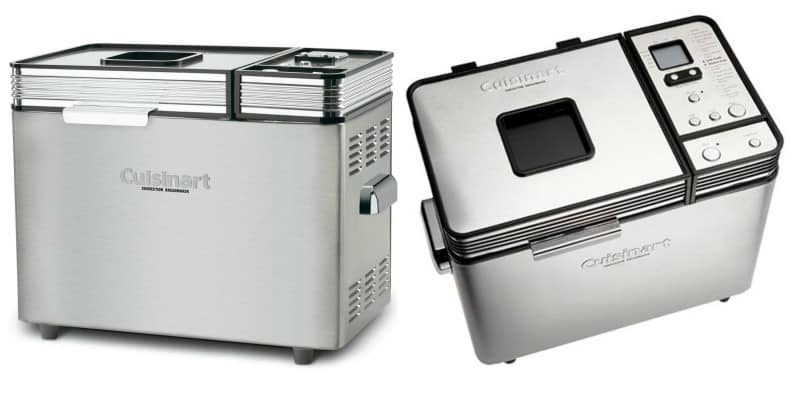 Cuisinart makes great appliances! Good choice! I’ll be trying this bread out, thanks! Well, I just might have to start with this recipe for my goal of making bread this year. I, too, have an old bread machine languishing in the corner because of the shape of the loaf and that irritating paddle canyon it makes in the bread. I never thought to take out the paddle…..duh! I also sliced the bread with an electric knife bought years ago when I got the machine. It has an attachment which helps to keep slices even, but I haven’t seen any like that recently. Ohhh, what a great invention!! I wonder if they still make them. I am going to have to look!! Thank you so much for this posting and tips on the Cuisinart CBK-200 2 LB Convection Bread Maker! I have this model of break maker and I had no idea that the beep that sounds right before the last rising is to let you know you can remove the paddle, if you want! I am so glad to learn this! I am so excited to try this recipe! Again thank you for the great post! Yes! 🙂 There are two series of beeps. The first set is three sets of five beeps. That is if you want to add something to your bread (nuts, dried berries, etc). I ignore those. The second is three sets of six beeps, that is where you remove the paddle. It happens about an hour and a half into the cycle for this recipe. Hope this helps! You should be able to google the directions for using your specific bread machine. Good Luck! I have made several things from your recipes and loved them all. Still make the “Radio Show” recipe, can’t stop eating it. I love Hawaiian roll anything so i will be making this also. I had one of those DAK bread machines years and eyars ago, and we adored it, but there were quite a few little things to learn along the way – use only absolutely fresh, high-quality yeast, use hard winter wheat flour, not my favorite soft White Lily, put the ingredients into the container in reverse order (hey, it worked better for us that way). One day the thing was vigorously kneading the bread and it kneaded right off the counter. Sent it back to be fixed and the company folded. Bought another and we enjoyed homemade bread for a few more years, but the kids grew up and went off to college and got all health concious. Maybe I need to get that bread machine out again. Oh my goodness, glad you were able to find another one!! Thank you so much for sharing Debbie!!! Those that do not have a bread machine are going to love you even more!!! 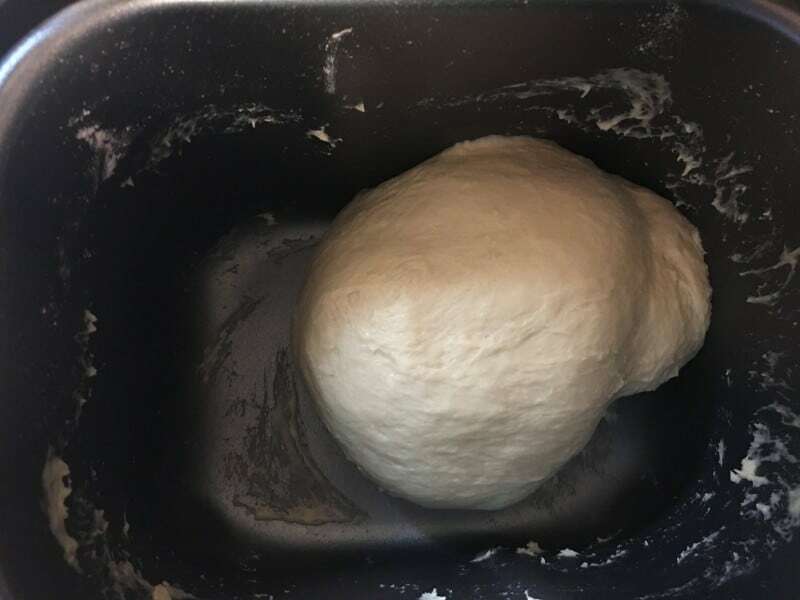 Did you mix in the order given or did you heat juice up and put yeast in the warm juice first then mix into the dry ingredients as you would when making regular dough. I am making this without a bread machine as well. I found I had to use about 3 1/2 cups of flour as the dough was a bit sticky. That could simply have been because it’s raining here today though! The bread is still in the oven so I can’t attest to actual taste. I’m baking at 350 as well. My grocery store was out of pineapple juice, so I used a pineapple/coconut punch drink as a substitute. If the hubby likes this bread, I see me making it quite often! I’ll update with taste results and baking time when it’s out of the oven. Thanks for what seems to be an awesome recipe Christy!! This looks like a great recipe! I grind my own wheat (easier than it sounds with a grain mill). Do you have any idea what I would use for bread flour? I have a wheat grinder – manual and electric, as well as several cases of wheat! The only problem is that I have never actually done that :). I was saving it for a rainy day. I’m afraid I don’t have any advice from experience to offer you but hopefully someone will come along who will. I would think you’d grind your flour fine and add some amount of vital wheat gluten to reach the rising power of bread flour. I have the same bread machine as Christy (just an older model). I used this on my first attempt and I don’t know if it is because we get different flour and yeast in Canada but my dough was so huge it overflowed the bread machine pan and baked up funny. After trying the bread that was cooked I decided to do it again with my mixer. Placed all ingredients in my stand mixer attached with a dough hook. I let it start to combine and it was quite sticky. I ended up adding 3/4 cup more flour and after the kneading let it rise for an hour. This dough rose huge as well. I gently deflated the dough, shaped it and ended up putting it in a 10×5 inch pan and let it rise for a second hour. This still was huge. When I make this again I will split the dough in two and make two 8×4-1/2 inch pans. I baked it at 375F for 30 minutes. The bread came out light as air and super soft. Didn’t get a huge punch of sweetness but it would work nicely on any sandwich. I will definitely make this again and might even add raisins next time. I truly nice recipe that I am glad I tried a second time. I’m glad you got it worked out though! Thanks for this wonderful recipe! I made it yesterday and we cut this great bread today. Thanks again and we need more wonderful bread machine recipes. My husband said, “This was the best bread I had every made in my bread machine!” I have to agree with him! I am so glad to hear it was a hit!!! I made the bread and it is beautiful. My family loves the consistency and the smell, but we thought it had a strange after taste. It was sort of like it had been too close to the potpourri. Do you think it is just the pineapple juice that I used? We love Hawaiian bread. Suggestion?? How odd. That is the only thing I can think of that it would be. Perhaps try changing up the brands you use until you figure it out. Hey Christy, sorry to bug you but I can’t stand this any longer! I’m having trouble with this recipe. I don’t get dough, I get batter. Normally 1.5 cups of liquid would call for 4 cups of flour, so I keep rechecking the recipe to see what I’m getting wrong, but it says 1.5 and 3 everytime – can you imagine!?! : ) I could understand if the recipe mentioned an additional few tablespoons of flour for if it comes out too wet, but instead you mention additional milk for if it’s dry. I can’t imagine this ever being even remotely dry. I’m also befuddled by the milk being listed after the flour. Is it dry milk? But you have genuine milk pictured! I have to be reading something wrong! (By the way, I use 2 bread machines at least once a day, almost every day here. My bread is somewhat famous in this part of the world : ), so I usually know what I’m doing when it comes to bread.) Help! Am I seeing things? Something is crazy here -maybe me, but that’s OK just so long as I know it! Thanks so much if you can help me out!!! You’re not crazy. Well, I’m sure we both are a little but likely in the good ways that just make us easier to live with. When I measure exactly these are the exact measurements I use. However, there are a lot of variables between your house and mine (including the level of fun crazy on any given day) so feel free to add a little flour in order to get a nice smooth dough ball. I would think no more than 1/2 cup based on my personal experience with this recipe but again, there are so many variables (flour, machine, temp of house,climate, yeast) that I can’t say for sure. throwing bread out because it didn’t have the right texture or flavour. This one is perfect! Thank you! This will make a wonderful gift for friends also! That made my day!!! I am so glad y’all enjoyed it!! !